Eggs and dairy products will likely be the first to see an increase from higher corn costs. For meat and ethanol, the situation is not so clear cut, at least for the near term. The worst U.S. drought in half a century has pushed corn prices to record highs and left consumers wondering what the impact will be on the things they buy. It's not an easy question to answer, and not only because the mountains of corn that come from farmers fields end up in thousands of products. But let's start in those fields. Only about one per cent of those acres have sweet corn growing on them. That's the corn we eat as corn on the cob or as frozen or canned niblets. Sweet corn fields are often irrigated, so depending on local water reserves, the price of corn on the cob may not show any real impact from the drought. As for the rest of the crop, the supply chains are so long and variable that agricultural economists aren't forecasting a huge spike in any one particular consumer item. A $3.50 box of Corn Flakes, for example, contains only about 10 cents worth of corn, points out Will Snell, an agricultural economist at the University of Kentucky. A litre bottle of a soft drink sweetened with high fructose corn syrup contains about five cents worth. The unusually hot summer and lack of rain in the U.S. corn belt has left about half that country's corn crop in poor or very poor condition. The U.S. Department of Agriculture forecasts the average yield will be 123.4 bushels of corn per acre, down about 16 per cent from 2011. Because a larger crop had been planted, that means the USDA forecast is for a 13 per cent drop in the total corn harvest to about 10.8 billion bushels. The U.S. drought monitor report released Thursday shows little change over the past week. The area of the contiguous U.S. in drought rose about 1.5 points, while the area experiencing severe drought or worse went down by about the same amount. 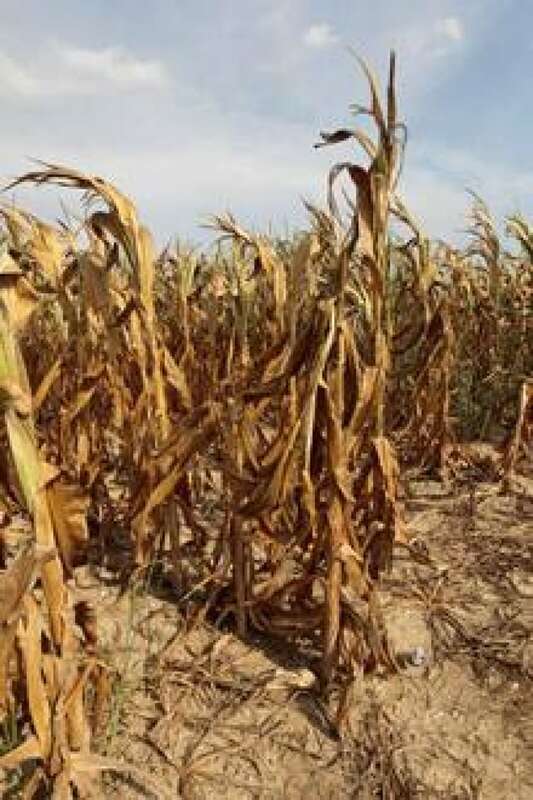 According to the monitor, about 85 per cent of the corn crop is now experiencing drought. On Wednesday, Statistics Canada released its latest crop production forecast. In contrast to what's happening in the U.S., corn production in Canada is expected to increase 9.5 per cent from 2011. The forecast of a smaller U.S. harvest is what pushed the price of corn to $8.49/bushel on Aug. 10. In the past, corn prices have fluctuated wildly but had never gone that high. Because nearly 43 per cent of U.S. corn goes to feed cows, pigs, chickens and even farmed fish, that is where the price increase is likely to be felt most. In Ontario, which grows about three-quarters of Canada's corn, 50-55 per cent of the crop is used as animal feed. Dairy and egg prices should be the first to see an increase from the higher input costs. Beef and pork prices are actually forecast to drop initially. That's because producers are expected to send some animals to market earlier than they would have otherwise, to reduce costs. The extra supply puts downward pressure on meat prices. But that's only temporary, since down the road the available supply should be reduced because of the smaller herds. 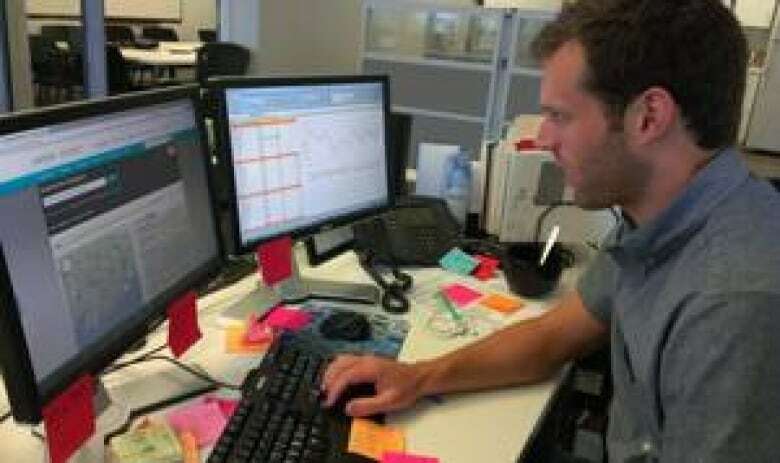 The USDA projects food prices in the U.S. rising three to four per cent in 2013. That's more than the inflation rate but in recent years food prices have been running ahead of inflation. The Wall Street Journal calculates that the impact of the drought will be "not that much," or $32.76 for the year for the average U.S. consumer. Sylvain Charlebois, the project lead of the University of Guelph's Food Retail Price Index, told CBC News that he does not expect the U.S. drought to have a significant impact on food prices in Canada. He forecasts food prices will increase by no more than 4.5 per cent in 2013, and only a fraction of that can be attributable to the drought. With a six- to nine-month time lag before commodity prices affect processed foods, he expects very little impact this year from the drought. Energy costs could have the bigger impact. Patrick Burns, an analyst in New York with Panjiva, a provider of global trade intelligence to businesses around the world, sees three reasons why corn prices should not have that dramatic an impact on the retail consumer. First, commodity costs account for only a small part of overall food costs. Burns also notes that stocks of rice and wheat, which can serve as alternatives to corn, are still pretty abundant. Thirdly, he says, the markets had early warnings that the supply would be smaller than expected and so are already adjusting. As a result, he said, the amount of corn that will go to the two big uses, animal feed and ethanol, has already been reduced. For Canadian consumers, the increase in super-centre retailers such as Walmart will put pressure on others to keep food prices down, Charlebois says. Walmart, for example, is now the fifth largest food retailer in Canada. After animal feed, the next largest share of U.S. corn ends ups as ethanol, which gets blended into the gasoline sold at the pumps. To encourage energy efficiency and renewable fuels, governments have mandated a minimum amount of renewable fuels being blended with gasoline, laws that have led to a progressively larger share of the corn harvest ending up as fuel. In Canada the federal government has set the average minimum content for renewable fuels at 5 per cent. In Saskatchewan, the mandate is 7.5 per cent; it is 8.5 per cent in Manitoba. The U.S. now has a 10-per-cent mandate for the amount of ethanol that has to be added to gasoline. In the U.S., the National Corn Growers Association says 38 per cent of the country's corn crop is destined for ethanol. But since those same cobs get made into both ethanol and animal feed, in the form of distillers grains, they do the math to end up with 29 per cent of the corn crop getting used for ethanol, and add nine points to what's used for animal feed. In Canada, about 30 per cent of the corn crop is grown for ethanol, or about 20 per cent after accounting for distillers grains. When it comes to the price of ethanol, government subsidies and other factors mean the end cost is not a simple equation based on input costs. Ethanol futures prices are up about 19 per cent since the start of the year. Corn prices, on the other hand, fell through the first half of the year but have spiked sharply since then, resulting in a price increase of about 35 per cent so far this year, nearly twice that for ethanol. A surplus of ethanol has probably helped to keep its prices low and, with ethanol prices still below those of gasoline, analysts expect the increase in corn prices for consumers buying blended gas at the pump is likely to be insignificant. About 12 per cent of U.S. corn gets exported and Canada is a big buyer. Last year, another 10 per cent of U.S. corn went into "other products," while the remaining seven per cent was surplus. According to Burns, Panjiva's data shows "Canada is by far the top buyer" for the other-products category which includes corn flour, starch, malt and worked grains. There are about 2,500 supermarket products that contain corn, plus over a thousand other products not normally sold in supermarkets, such as fireworks, carpeting, cardboard and fibreglass. Corn is also the key ingredient in U.S. fast food, according to a 2008 study. The value of the corn in both processed foods and non-food products is usually not large enough for the current corn price spike to have much impact on what the consumer eventually pays, industry experts say. In fact, a case can be made that there has been more impact from other factors, including price-fixing. Take corn sweeteners, primarily high fructose corn syrup (HFCS), which make up most of the nutritive sweetener market in the U.S. 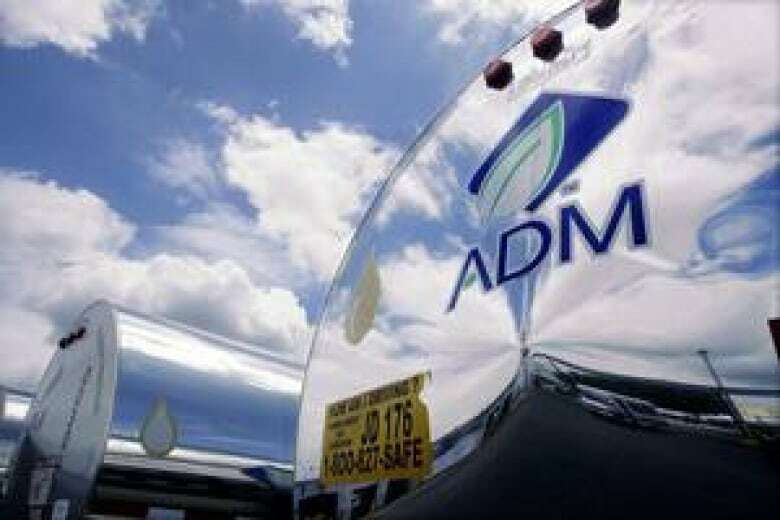 In 2004, U.S. agribusiness giant Archer Daniels Midland (ADM) settled an anti-trust case in which it paid out $400 million to the buyers of its HFCS, including such giant distributors as Coca-Cola and PepsiCo. In an earlier ADM price-fixing case, this time for the animal feed additive lysine, which is also made from corn, ADM executives received jail sentences. During its investigation, the FBI secretly recorded ADM president James Randall famously telling executives of a Japanese company, "We have a saying at this company, our competitors are our friends and our customers are our enemies." The 2009 Steven Soderbergh film, The Informant!, starring Matt Damon, is based on the lysine case. A study of the HFCS case and another ADM price-fixing case (on citric acid, also from corn) found that all or more of the overcharges from price-fixing were passed on to the consumer. 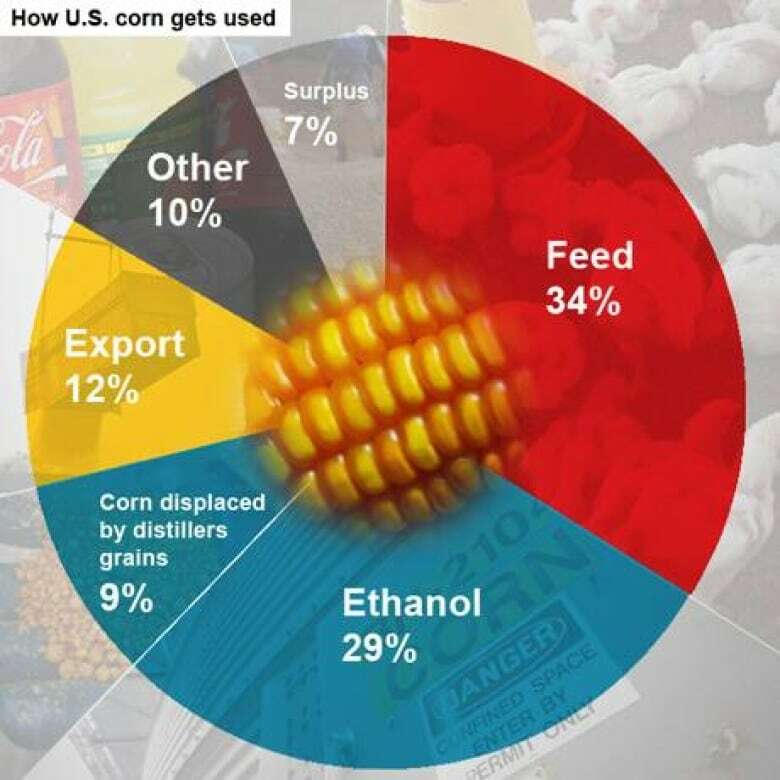 The data for the graphic on corn's uses is from the National Corn Growers Association.